The brand new royal baby has a name. 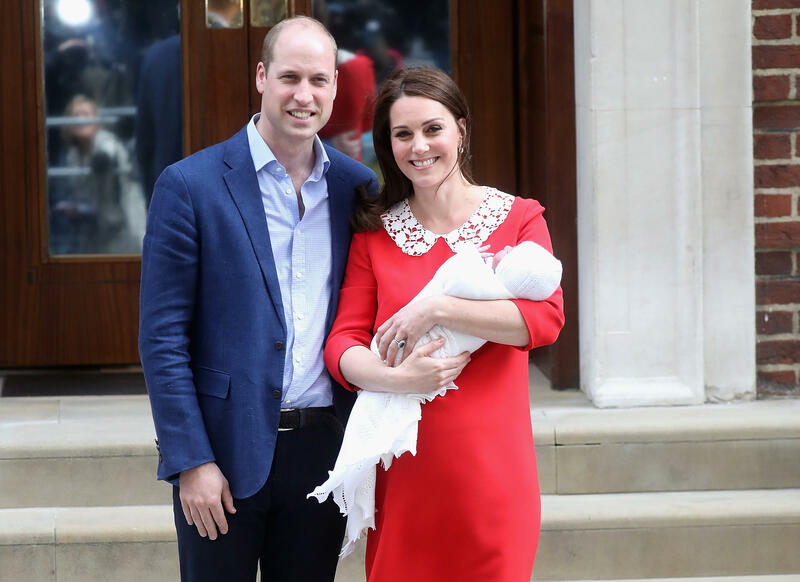 Prince William and Kate, or the Duke and Duchess of Cambridge, as they are formally known, announced Friday that they had named their third child Louis Arthur Charles. His full formal title is His Royal Highness Prince Louis of Cambridge. The announcement was made in a tweet from Kensington Palace, the Cambridges' official residence -- not long after one of Britain's major betting firms stopped taking bets on what the name would be, and amid rampant speculation that the royal couple had chosen "Albert." The duchess gave birth Monday morning, and emerged from St. Mary's Hospital in London about seven hours later alongside her husband, holding the baby wrapped in a white blanket. The trio posed for photographers before going back inside. Prince Louis is fifth in line to the British throne, after grandfather Prince Charles, father William, Prince George and sister Princess Charlotte. He is Queen Elizabeth II's sixth great-grandchild. The British royal family is set for a big year, with Prince William's brother Prince Harry set to marry American actress Meghan Markle on May 19 at Windsor Castle, outside London.